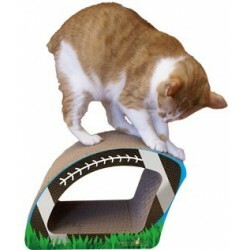 These great 2-in-1 cat scratchers are like getting 2 cat scratchers for the price of 1. 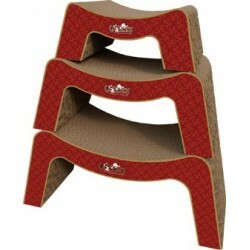 Put the cat scratchers in different rooms, or nest them together for storage. 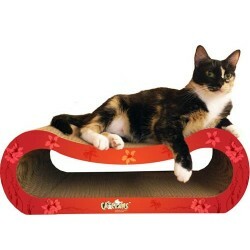 Nesting 2-in-1 Cat Scratchers There are 34 products. 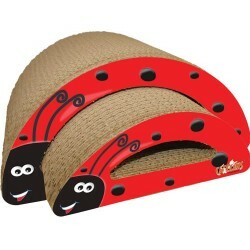 This cute, friendly Ladybug Cat Scratcher is just waiting for your cat to attack! Made for scratching and relaxing, you get two nesting scratchers plus a bag of our 100% pure Cat Claws Naturally Nip Catnip. The M.A.X. Vogue is one of our most popular shapes, and this Giant version is bound to be even better! 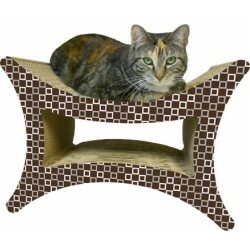 Two-in-one design gives you two giant, sleek, designer cat scratchers for one easy price. Over 33" long!. 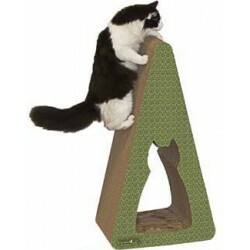 Cats love to stretch and scratch on theis Giant Pyramid Scratcher, or lay it on its side for a huge ramp shape scratcher! 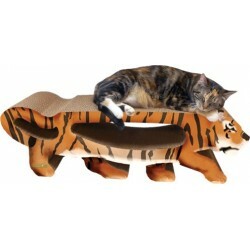 Either way, your cat will love it! 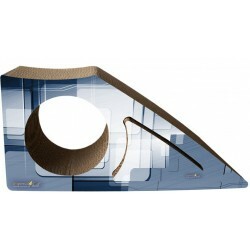 Comes with a bonus scratchable insert! 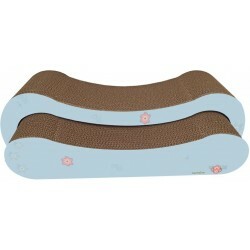 The PurrLounge is a two-in-one nesting scratcher combo that features sleek curves designed for scratching and snoozing. Over 33"" long! 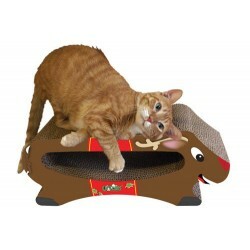 2-in-1 Nesting Combo with an adorable Reindeer print is just the thing to brighten the holidays! 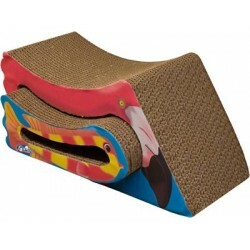 A scratching playmate for your little wild cat! 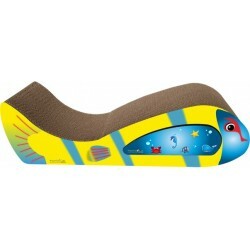 This 2 in 1 design features a removable scratching insert that can be placed in another room as an extra scratcher, or can nest inside the Tiger if space is a concern.